This rare custom damascus folder from Allen Elishewitz offers an elegant, collectible design. 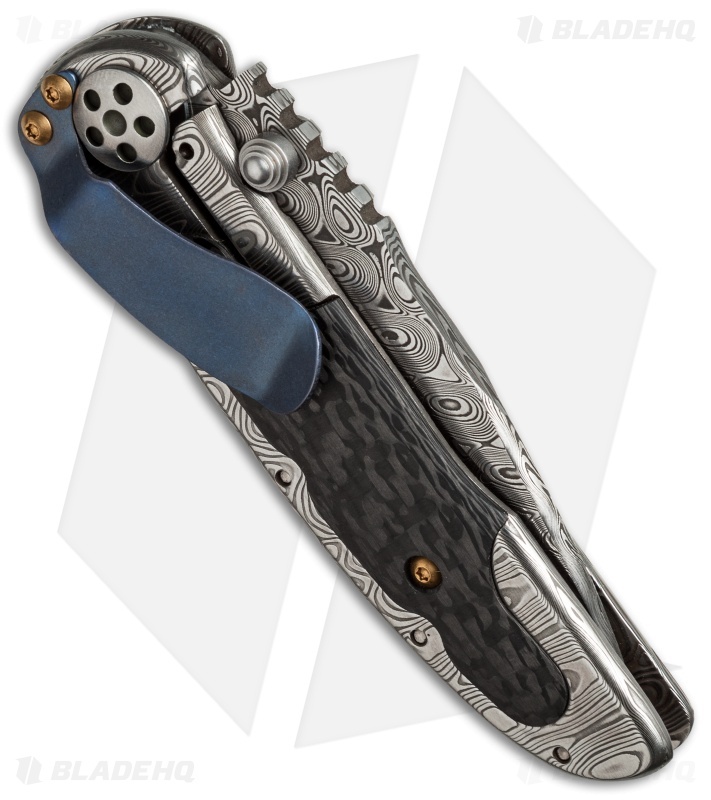 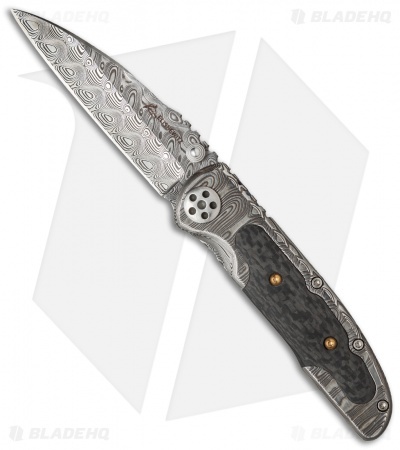 It features a damascus blade and handle frame with carbon fiber scales on either side. 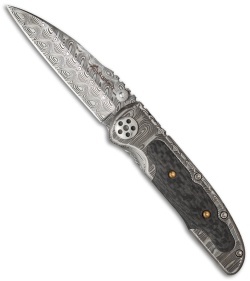 The blade is deployed with dual ambidextrous thumb studs and locks in place with a frame lock. A blue anodized titanium pocket clip adds an excellent finishing touch to the design. 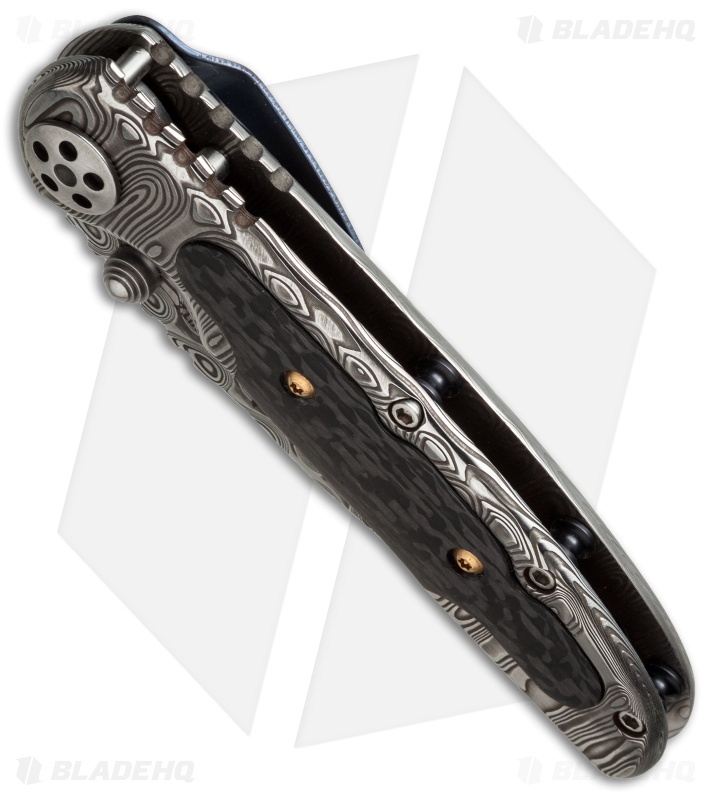 This knife was acquired from a collection and is in excellent condition. 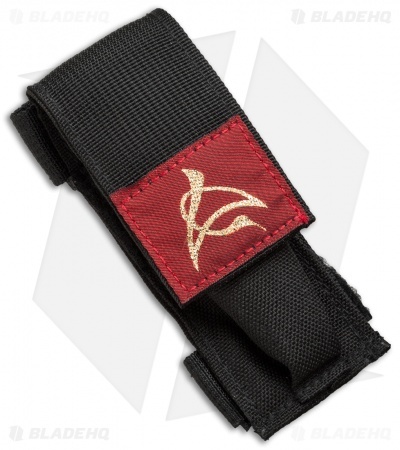 Item includes an Allen Elishewitz nylon belt sheath.